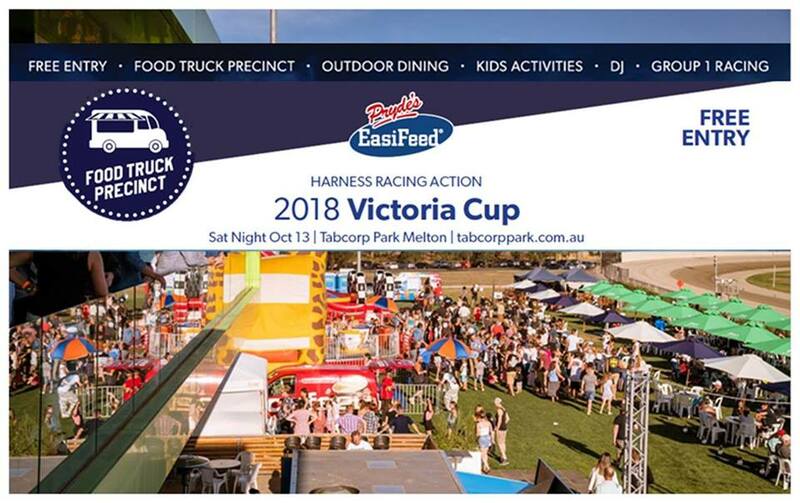 The Food Truck Precinct for 2018 is coming back to Tabcorp Park Melton. After a great event last year we have decided to make it an annual event. Forming part of the Victoria Cup Night Racing this event is not to be missed. Featuring Free Kids Entertainment, Free Entry, Live Harness Racing, DJ on the Lawn, After Party in the Sports Bar and the all important Food Trucks on the main lawn. To keep up to date with all the fun and activities for this amazing night out, simply click Going and you will receive regular updates. Feel free to bring a picnic blanket, bean bag or small fold out chair and enjoy the lawn and atmosphere. Gates open from 5pm, Entry is Free.